Boat type ----------------------- Sailboats - all - Sailing yachts Powerboats - all - Motor yachts Charter country ----------------------- Belgium Netherlands Charter area ----------------------- Inland waters - Amsterdam - Grevelingen - Haringvliet - Hollands Diep - Ijsselmeer/Markermeer - Randmeren - South Holland - The Delta (Netherlands) - Zeeland (Netherlands) North Sea - North Sea - North Sea coast of Netherlands Port ----------------------- Please choose a country! Our new Hanse has 455 the largest cockpit in its class. 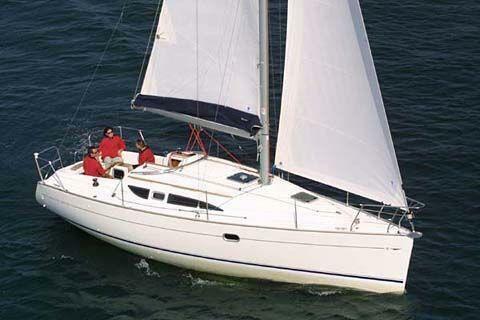 This gives you enough space to sail comfortably and relax in the port. Of course the Hanse 455 has all major navigational instruments. The yacht is designed so you can sail it with a small crew. 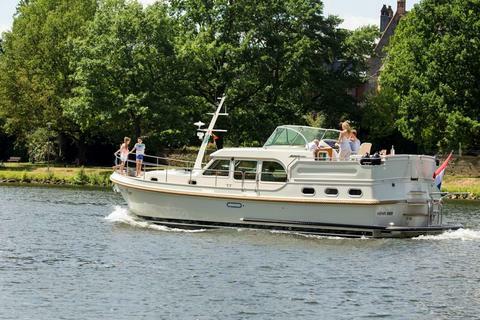 This new very well equipped Linssen Grand Sturdy® 40.0 AC is suitable for 2 to 8 persons. It is very well equipped with an easily adjustable canopy over the rear deck, 2 electric toilets, 2 showers, airco, washing machine and generator. You can be the lucky one to rent at Waterfront Yachtcharter this great brand new luxury motor yacht Charter with an extended salonroof which covers the open cockpit. You can enjoy, and still being sheltered.